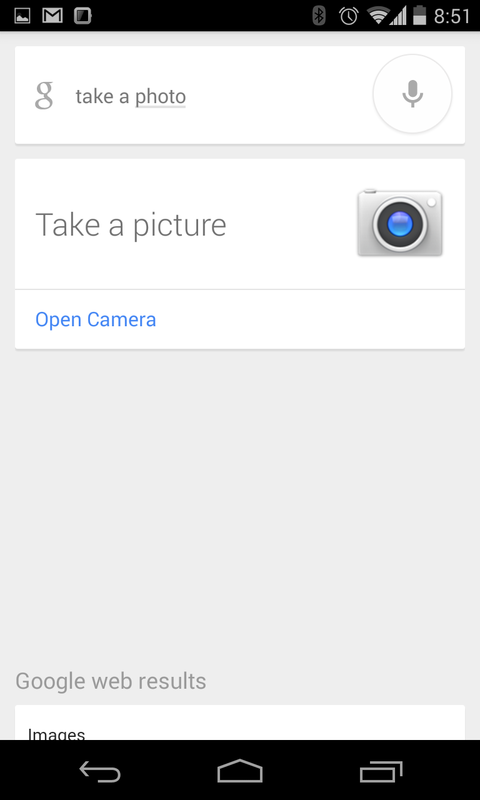 This wasn't in their 'what's new' in the latest update, but Google Now brings in a feature to launch your camera. Now I love Google Now. I have a database full of commands that it can do, so I'm having to update it with a new feature. Now it's not really any 'faster' than physically finding the app... but it is useful if your hands are otherwise occupied (then again, how would you snap the picture, you'd still need to hit the shutter button on screen). But it's still cool as hardware is somewhat out of bounds of Google Now's reach (unlike Siri, who can turn on Bluetooth and Wifi etc...); however, it is able to make calls.